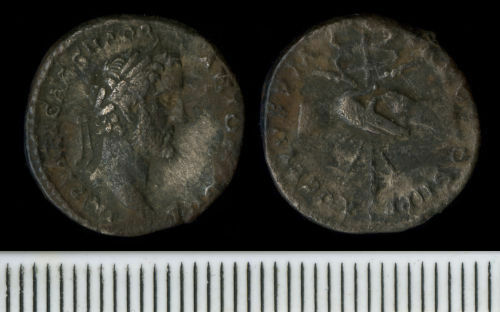 A silver denarius of Antoninus Pius dating to AD 139 (Reece period 7). AVG PIVS P M TR P COS II P P reverse type depicting clasped hands holding caduceus and corn-ears. Mint of Rome. RIC III, p. 30, no. 37.